On the 28th (Fri), take in the views from Golden Gate Bridge, then head off the coast to Alcatraz Island, and then take in the waterfront at Fisherman's Wharf. Keep things going the next day: engage your brain at The Exploratorium. To find maps, other places to visit, where to stay, and more tourist information, refer to the San Francisco trip builder. Minneapolis to San Francisco is an approximately 5.5-hour flight. You can also drive; or take a bus. The time zone difference moving from Central Standard Time to Pacific Standard Time is minus 2 hours. Plan for slightly colder temperatures traveling from Minneapolis in July, with highs in San Francisco at 72°F and lows at 57°F. Wrap up your sightseeing by early afternoon on the 29th (Sat) to allow enough time to drive to Yosemite National Park. Massive granite mountains, towering waterfalls, groves of Giant Sequoia trees, and wilderness as far as the eye can see distinguish the landscape of Yosemite National Park. Yosemite National Park is known for nature, sightseeing, trails, scenic drive, and museums. Your plan includes some of its best attractions: explore the striking landscape at Glacier Point, tour the pleasant surroundings at May Lake Trailhead, contemplate the waterfront views at Tenaya Lake, and trek along Wawona Meadow. To see where to stay, maps, photos, and tourist information, read our Yosemite National Park itinerary maker. 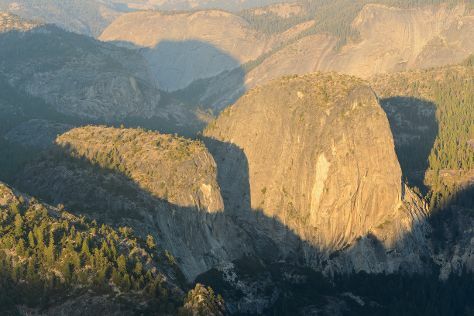 You can drive from San Francisco to Yosemite National Park in 4.5 hours. Alternatively, you can do a combination of bus and taxi; or do a combination of flight, bus, and taxi. While traveling from San Francisco, expect somewhat warmer days and slightly colder nights in Yosemite National Park, ranging from highs of 82°F to lows of 45°F. Finish up your sightseeing early on the 2nd (Wed) so you can go by car to Monterey. 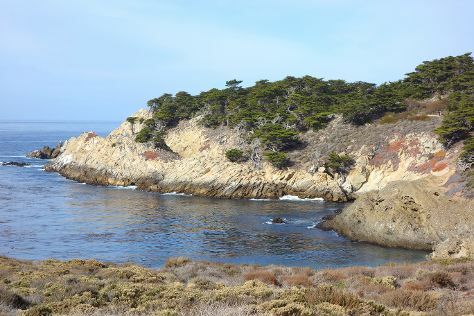 Monterey is a city in the U.S. On the 2nd (Wed), enjoy the sand and surf at Point Lobos State Reserve. To see reviews, traveler tips, more things to do, and more tourist information, go to the Monterey vacation builder. Getting from Yosemite National Park to Monterey by car takes about 5 hours. Other options: do a combination of taxi and bus; or do a combination of taxi, bus, train, and subway. While traveling from Yosemite National Park, expect slightly colder days and a bit warmer nights in Monterey, ranging from highs of 69°F to lows of 56°F. Finish your sightseeing early on the 3rd (Thu) to allow enough time to travel to Los Angeles. Surrounded by mountain ranges, forests, valleys, beaches, and deserts, the metropolitan area of Los Angeles is home to over 17 million people. Start off your visit on the 3rd (Thu): get in on the family fun at Universal Studios Hollywood. 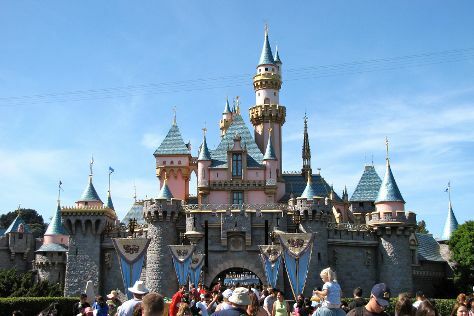 On the 4th (Fri), you'll have a packed day of sightseeing: discover the magic at Disneyland Park. For where to stay, more things to do, maps, and more tourist information, refer to the Los Angeles sightseeing planner. Traveling by flight from Monterey to Los Angeles takes 3.5 hours. Alternatively, you can drive; or take a bus. Plan for a bit warmer temperatures traveling from Monterey in August, with highs in Los Angeles at 84°F and lows at 65°F. Wrap up your sightseeing on the 5th (Sat) to allow time to travel back home.